teak wood floors and luxurious bathrooms. 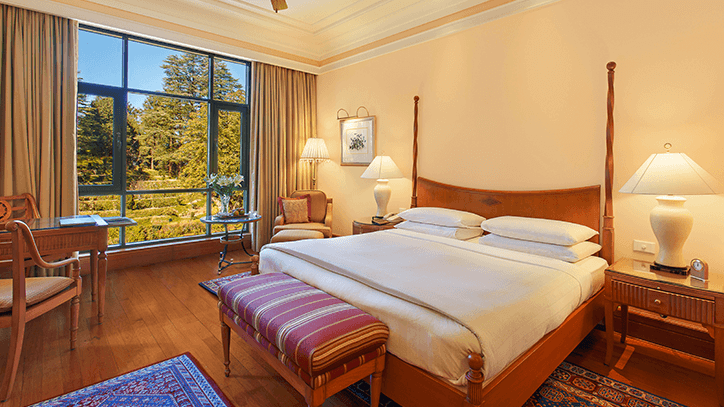 Shrouded in mist, dappled in sunlight or blanketed in snow, views across the Shimla valley and cedar forests are unequivocally romantic. Stretch out on your two poster bed, sink your toes into plush handcrafted rugs, soak in your full length bathtub and wrap up in a fluffy bathrobe. Your comfort is our pleasure. Painstaking care has been taken with these rooms to offer you an authentic heritage experience. From the two poster bed, armchair and ottoman, to the Victorian style lamps and wooden ceiling fan. 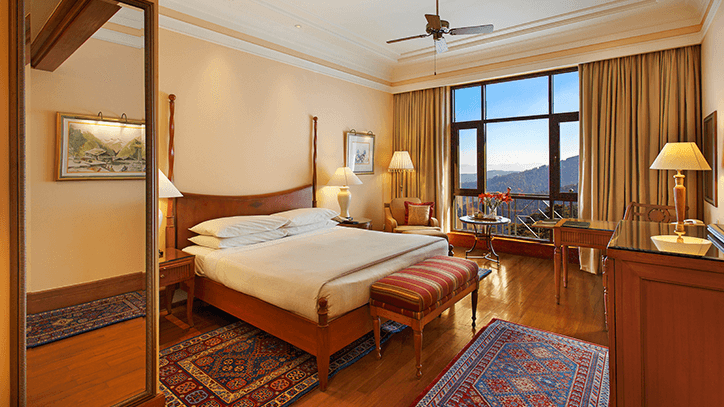 Consult the daily weather bulletin and wake up to picture perfect sunrise views over the Himalayas. These suites evoke a sense of yesteryear charm. With a grand fireplace at the heart of the living space, paisley print sofas, richly upholstered armchairs, white marble elephants and photographs of Lord Kitchener. 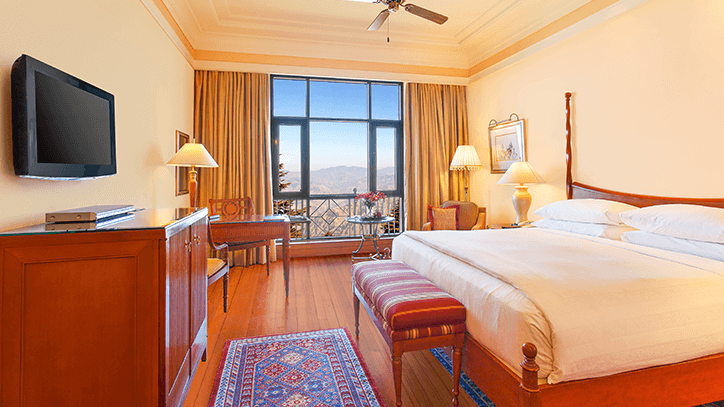 Framed against a backdrop of the Himalayas; the perfect composition for an unforgettable stay. 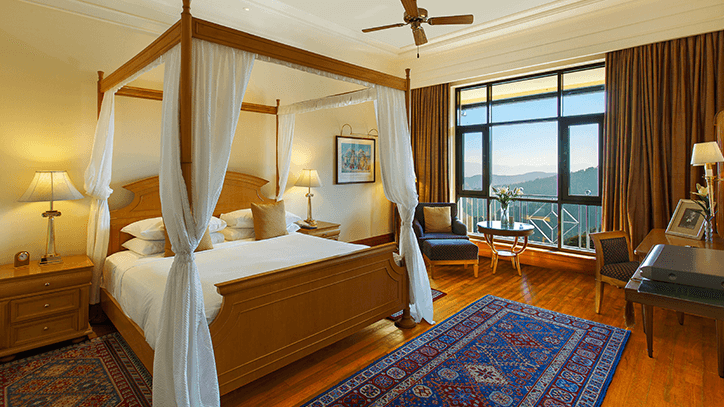 Fit for a Lord and Lady, this suite typifies the grandeur of a stately residence. 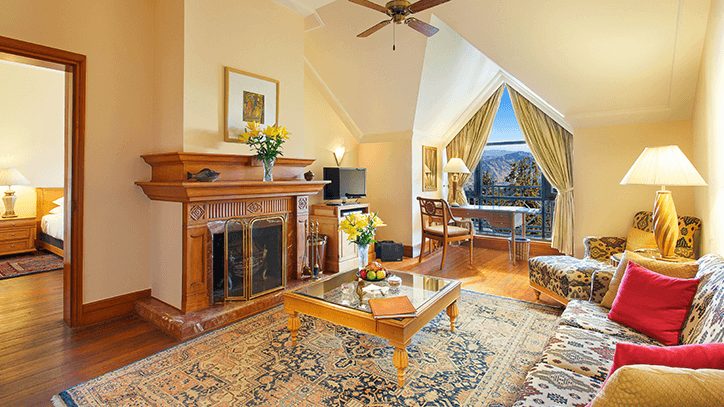 From the plush furnishings and ornate fireplace to the picture window that captures spectacular mountain views. Photographs of Lord Kitchener in regimental attire and alongside Lady Kitchener in watercolour serve as reminders of Wildflower’s rich history.